Meet Tallahasseee Pet Sitting & Dog Walking Extraordinare, Jennifer & Her Golden Retriever Friend, Krooke! 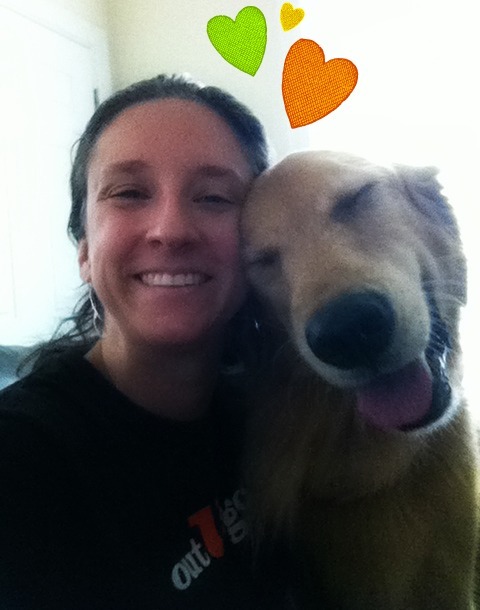 It is hard to tell who is happier–our awesome pet sitter Jennifer or Krooke the amazing golden retriever. Jennifer is an integral part of the Out-U-Go! Tallahassee pet sitting team, making the world a better place one furry family at a time. She LOVES her job (and Krooke!!) and it shows!! Learn more about Out-U-Go! Tallahassee Pet Care Services. This entry was posted in Tallahassee Tails and tagged Dog Walker, dog walkers, dog walking, dog walks, golden retriever, pet care, Pet Sitter, Pet Sitters, pet sitting, Tallahassee, Tallahassee pets on September 20, 2013 by Laura Rumage. 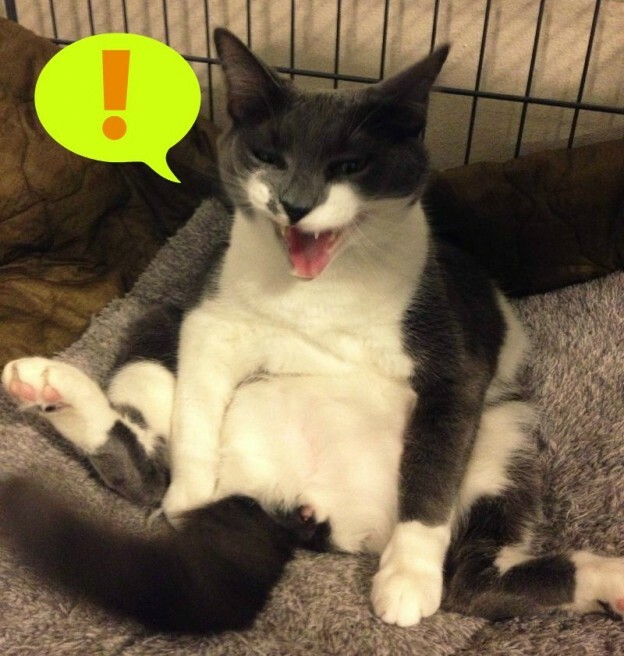 Tallahassee cat Cooper is the often misunderstood fur child of Out-U-Go!’s very own Pack Leader, Elizabeth Amrhein. He is an outstanding specimen of Felis Catus AKA the domestic cat: a small, usually furry, domesticated (using the term loosely), and carnivorous mammal. These scientific descriptions pale in comparison to the actual Cooper kitty, who enjoys sinking his fangs into his Mom’s bare feet while she brushes her teeth, hanging out in his dog brother’s car crate while looking like a whack job (see photo evidence), and having a pretty spectacular paper napkin fetish. This entry was posted in Tallahassee Tails and tagged cats, funny, Tallahassee, Tallahassee pets on July 23, 2013 by Laura Rumage. Finding great, scenic dog walking routes in Tallahassee is something we’re always sniffing around for. While Sherlock’s nose is to the ground (searching for squirrel clues, of course! ), it’s a treat for parents to take in such sights as unique architecture, local history, or beautiful natural landscapes. Our paws have done some walkin’, so we’ve compiled a list of our favorite routes across town for you and your pups to check out! 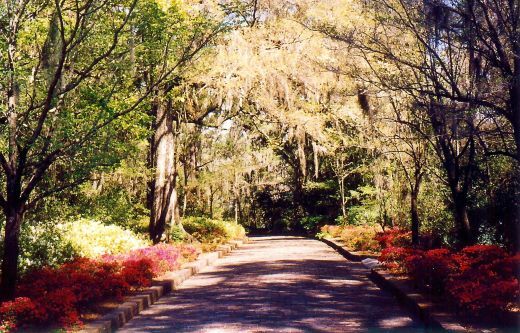 Ravine Trail at Maclay Gardens: This easy loop hike, used by joggers, dog walkers, bicyclers, and hikers, makes an upland circuit on the west side of the Overstreet Tract of Alfred P. Maclay State Gardens. The wide path leaves the Forest Meadows access and rambles through forest, coming near ravines that drop off toward Lake Overstreet. 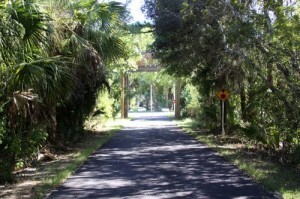 Miccosukee Canopy Road Greenway Trail: The Miccosukee Canopy Road Greenway encompasses 503 acres of open pasture and forested woodlands. The 17 miles of trails throughout the greenway are open to the public and perfect for dog walking, horseback riding and non-motorized use from sunrise until sunset. Tallahassee – St. Marks Historic Railroad State Trail: As its name implies, the dog friendly trail stretches about 20.5 miles from the capital city south to St. Marks. Longleaf pine and forests of oak, wax myrtle, and yaupon holly nicely shade the route. This entry was posted in Tallahassee Tails and tagged dog walking, dog walks, Tallahassee, Tallahassee pets on June 17, 2013 by Laura Rumage. Friends, canines, countrymen, lend me your ears. It is with great pride that we are thrilled to announce Out-U-Go! will be launching our newest franchise location in Tallahassee, Florida later this summer. Out-U-Go! Tallahassee will be our 8th location servicing our third state, including Illinois, Colorado, and now Florida. We are very excited to introduce our two newest Top Dogs. Elizabeth Amrheim and Elizabeth Tull, otherwise known as E² (at least that’s the MC name we trying to get to stick for them). The two Elizabeths will bring their wonder twin powers together to offer the tail wagging professionally styled world of Out-U-Go! Dog Walking and Pet Sitting to the pet parents in the pan handle of Florida. Out-U-Go! has provided awesome pet care to dogs, cats, and other furry creatures since 1996. With nearly 1,000,000 pet care visits under our collective leashes, Out-U-Go! has developed a certain seasoned sophistication of pet care we like to refer to as Awesome Sauce. It’s with this “Awesome Sauce” that E² will introduce Out-U-Go! to Tallahassee. This entry was posted in Biz Blog and tagged franchise, Tallahassee pets on June 15, 2011 by Allie.